The motif on this bangle measures 19mm and depicts a Shetland croft house scene over hills with the Merrie Dancers in the sky. 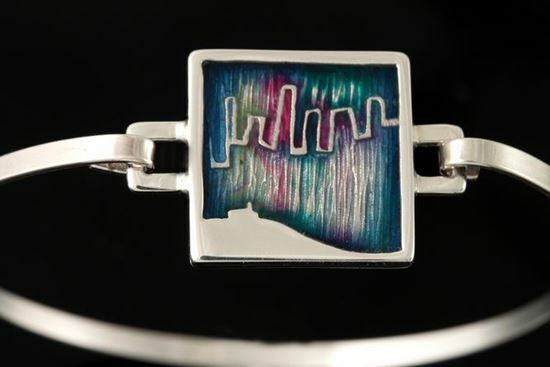 Each piece is made in sterling Silver and uses the cloisonne enameling technique. Colours may vary.